I bring great news from those within the confines of England’s greatest county, the shire of Devon. 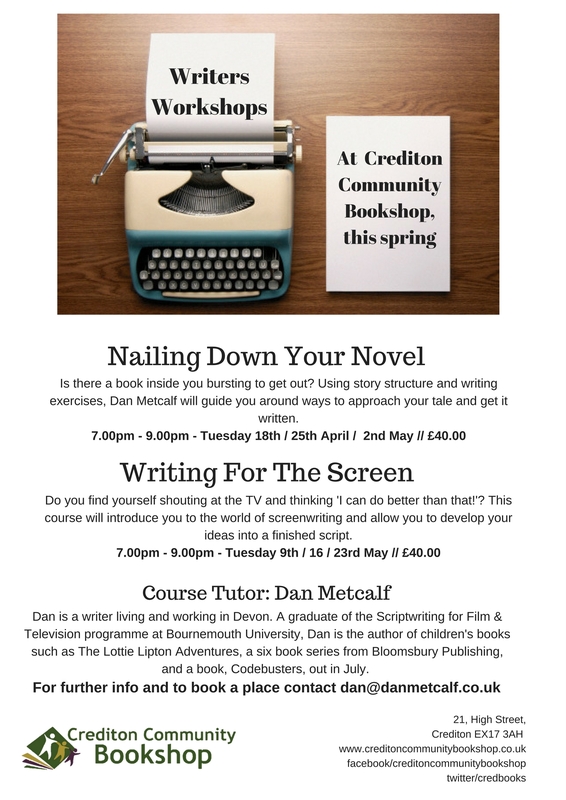 I will be running some creative writing courses in my home town in partnership with the Crediton Community Bookshop. Download the flyer here. The courses are three weeks long each and run just after the Easter holidays on Tuesday nights at the bookshop. There will be tea and coffee provided, just bring along a pen, paper and a brain. Get in contact and book your place. Places are limited.